This post talks about how to stream company town halls and all-employee meetings. It addresses the important factors to consider, including video quality and security. It's part of our series on Live Streaming Events. Your all-company meetings are an important opportunity for alignment across teams. They are a chance to instill your culture and build momentum behind your strategy and vision. If you have several offices or remote workers, it can be challenging to replicate the in-office energy of the event. A spotty Skype or GoToMeeting call is not the answer. You invest a significant amount of time in the delivery of your all-company communication for those in the office. You know that every detail can impact the perception of the management team's vision. It's important to think through the delivery to remote employees with the same level of detail. You may use conferencing tools like GoToMeeting or Skype for weekly communication and calls. However, these tools are not the right fit for an event of this magnitude. Conferencing tools deliver immediate live video at the expense of video quality. Their purpose is quick, multi-direction video communication. Live streaming tools are the answer to one-way, high quality video communication. 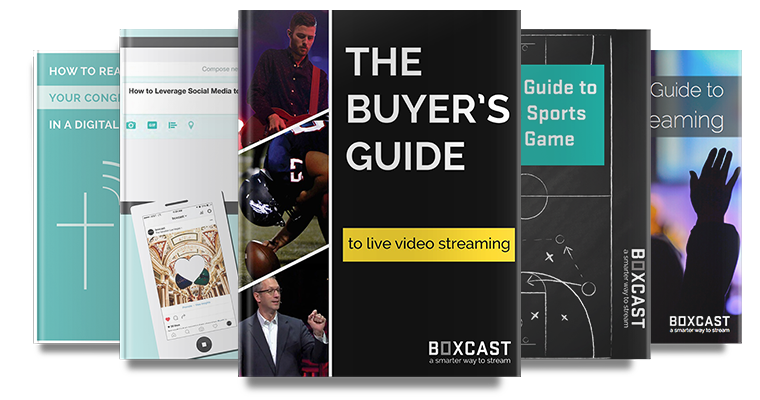 Platforms like BoxCast produce high definition streams that replicate the in-person experience for your out-of-office audience. Your network connection and production setup will also impact the quality of your stream. Video resolution isn't everything though. Your all-company meetings are internal. They need to stay that way. When you live stream these events, it's important that you secure them. There are several options for making sure that your stream is private. You can create a private link on a website and share it only with your employees. Alternatively, you can password protect your broadcast and give your employees the password. You may want graphic overlays to display the names of your speakers. You might want the ability to archive your meetings for record-keeping. You could even want to upload documents for viewing beside the stream. In the end, you need a platform built with the features for you. That's where BoxCast comes in.